All around us people are gearing up for Halloween this coming Friday night. Did you realize that the name “Halloween” comes from “All Hallows Eve” the vigil night before the Feast Day of All Saints? Catholic Education.org reproduces a good article about the development of All Saints Day and the connection to Celtic Samhain. It was common practice to honor each martyr, each saint, with a feast day, but there were more martyrs than days in the year, so a common day honoring them all evolved in the early 300s. This day was originally observed in May, but in the 700s Pope Gregory IV officially assigned November 1 as All Saints Day. It’s a great time to start learning more about the Saints, so I flipped through my Catholic calendar and realized there are so many saints the calendar can’t possibly list them all. It would be really easy to learn something basic about a few new saints each month. Many people have heard of St. Francis of Assisi, even before Cardinal Bergoglio chose the name for his papacy. You probably associate St. Francis with a brown robe surrounded by animals – at least that’s how he’s depicted in my St. Francis garden statue. Although he lived 800 years ago from 1182-1226, his story seems almost contemporary. Born into a wealthy family, he enjoyed an easy life, partied hard with a crowd of friends, and desired prestige and glory. When he left his hometown to fight (in the Crusades), God told him to go home, which he did. During a time of praying and waiting, Francis heard God again at San Damiano church telling him to rebuild the Church. This began his new path, leading to a simple joyful life of prayer and poverty that attracted others, creating the Franciscan order. Francis lived as he preached, owning nothing, even giving up authority of the order. He suffered greatly in his final years, with blindness and the stigmata, before dying at the age of 45. Lord make me an instrument of your peace. On October 7, 1571, Christian Europe won a major naval battle against the Ottoman Empire, preventing the invasion of Islam to western Europe and the Americas. Though the Christians were outnumbered, their 16th century victory at Lepanto is attributed to the intercession of the Blessed Virgin Mary through a campaign to pray the Rosary. 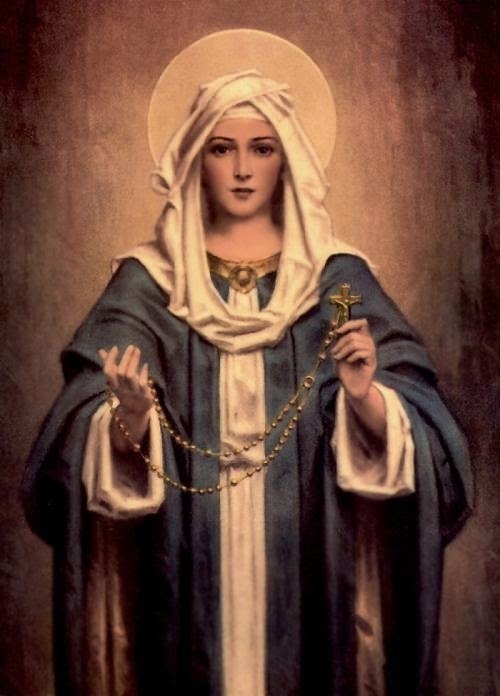 Considering the present day attacks on Christianity across the globe, perhaps it’s time for another Rosary Army to be launched asking for protection. What little we know about our 16th Pope comes from a history written by his enemy and rival. Living during the end of the second century, a slave and convicted man sentenced to forced labor, Callistus called for mercy and equality between all Church members. After being freed accidentally and sent away from Rome, he was recalled and became an adviser to Pope Zephyrinus. 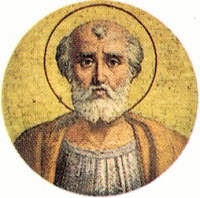 Callistus succeeded Zephyrinus as Pope in 219, during a particularly difficult time of the Church. Despite a lack of evidence, he is listed as martyred in 222. 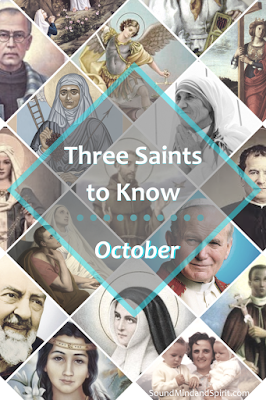 For more information about these Saints and many others, there are many great books and online resources. If you prefer listening to audio, check out the short clip titled “Saint of the Day” by Franciscan Media Productions or the Saint Cast podcast.